Free installation and free technical support. Easy-to-use, intuitive HTML administration interface allows you to administer the product from any location with web access. Extensive and detailed reports showing which keywords and click sources are worth the investment. Reports include conversion rates, revenue, and Return on Advertising Spending (ROAS). You will know which keywords and search engines are most profitable. 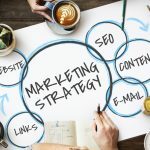 Track any online marketing campaign. 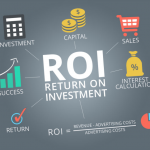 ROI Wiz not only tracks pay per click advertising, but can also track any online advertisement whether its a banner ad or a text link in an email marketing campaign. Track results per Search Engine, Keyword and Acquisition Type. Captures the average conversion time for each type of Acquisition. For example, average lead conversion time might be 1 hour, average sale conversion time 4 days. Capable of storing up to 3 demographic fields that can be included in all reports. For example, if you collect Gender when a customer purchases, you can store the gender to see who purchase more often, or who converts quicker. Supports an unlimited number of Click Sources. Example Click Sources for pay per click advertising are Overture, Google, FindWhat, eSpotting, etc. Each Keyword Advertisement can redirect to a different URL or web page. Ability to ignore duplicate clicks. The period which defines a duplicate click is user-defined. Automatically generates links that can be uploaded or manually entered into pay per click search engines. Uses a cookie based tracking system.